There is no reason why Buddhists can't go along with it. Christs main message is that of love and Christmas is considered to be the celebration of love. Most Buddhist practice is concerned with developing loving kindness and compassion as well. We can use the holidays and spent it with our family and friends and enjoy the togetherness. 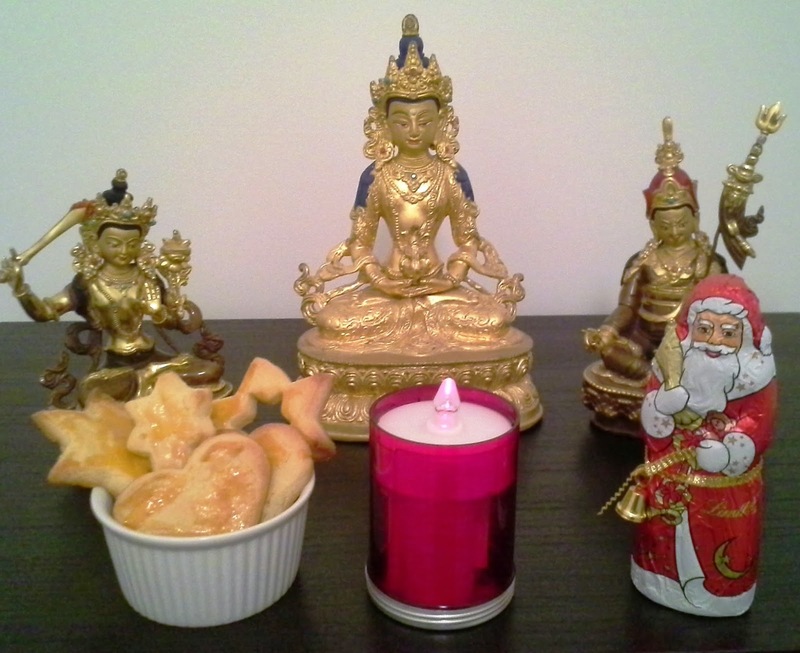 If we want to, we can design specific moulds for Christmas cookies, create our own chocolate bodhisattvas, make gifts to one another, and festively decorate our shrines.